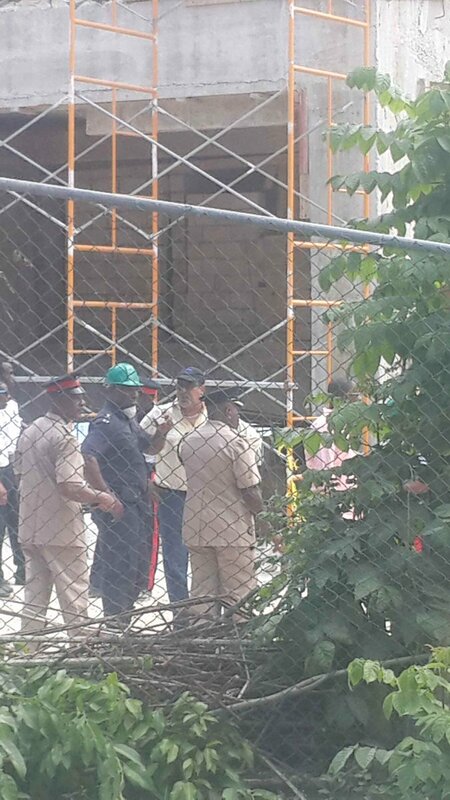 Minister without Portfolio in The Office of the Prime Minister Daryl Vaz is reporting that only five people were injured this morning when a section of a building at the Royalton hotel site collapsed. All five were taken to hospital where two were treated and released and three admitted. According to Vaz, the most seriously injured worker received head injuries including a wound above one of his eyes. In the meantime, the police say everyone has been accounted for. Hours after the collapse, emergency responders were digging through the rubble searching for possible survivors. The MP for Westmoreland Western Dr Wykeham McNeill and the Hanover Western representative, Ian Hayles were among the officials who also visited the site. McNeill had high praises for the first responders and Hayles said he was thankful that there was no loss of life.